When recycling an old harness, Antoine Buliard, Jean-Marc Masutti and Xavier Bauer, all mountaineering and rock climbing enthusiasts, came up with the idea for the Tybelt. At first, it was a stylish and original trouser belt, but their mechanics-influenced personalities soon enabled them to envisage a whole host of other uses. Two and a half years later the Tybelt was born. With EN566 certification, the Tybelt is an essential piece of Personal Protective Equipment. Encouraged by this first taste of R&D, they plan to launch the Tybelt in different colors and adapt it to an even wider range of uses. 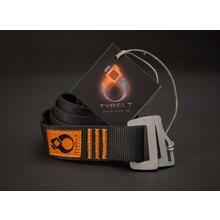 All signs indicate that the Tybelt will become a must-have for a large number of people. 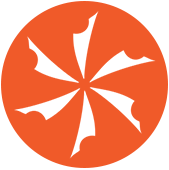 Natural progression saw Antoine, Jean-Marc and Xavier establish the company BBM-équipement. The stage is now set for the Tybelt to become a brand worthy of their ambitions.